When Andrea Layne contacted me about working together, I already knew this was going to be something good. When she explained that her concept was “Under the Tuscan Sun” wedding inspiration I was even more excited! 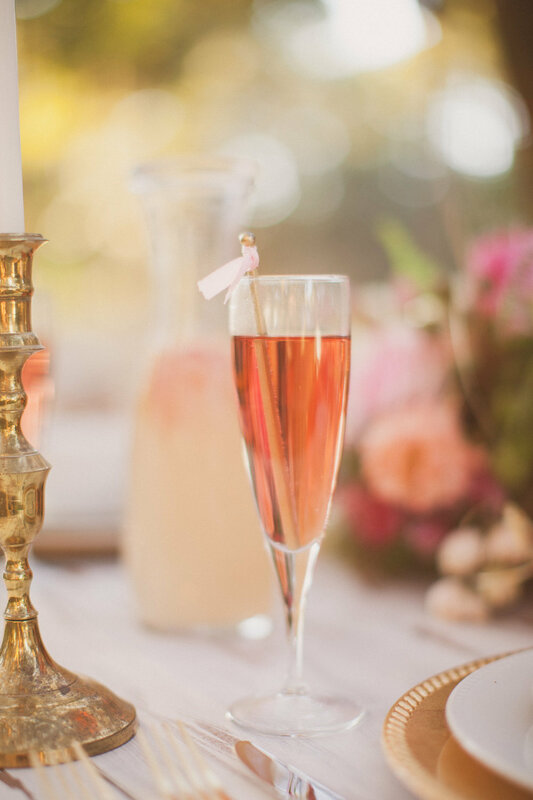 There would be a canopy of oak trees, lush greenery including olive branches (my favorite), a mix of bridesmaid dresses, a delicious food table and a feasting table for the guests. "Sign me up" is what I said, if I remember correctly! Nothing is better than working with an incredible group of vendors or “friendors”. Andrea and I worked to pick the items we knew would translate the design best from Set Event Rentals and Wish Vintage Rentals. We had the best time working with Bella Bridesmaids Tampa to create a mix but effortlessly cohesive look for the beautiful bridesmaids to wear. Stephanie Paul of SMP Makeup Artistry perfectly executed the beautiful but effortless look I was imagining for our bride and her bridesmaids. She created subtle makeup, loose waves and up-dos with braids. I will say, the floral necklaces Andrea created were hands-down my favorite detail. Andrea worked with Shine Wedding Invitations who beautifully created calligraphy looking font for the paper goods and they were seriously the perfect detail to the design. I think my favorite part was the opportunity to hand pick a bridal gown and accessories at the new bridal boutique in Ybor City, The Bride Tampa. Viktoria has a wonderful unique selection of gowns and is so sweet and knowledgable to work with. The lace peplum belt was the cutest addition to her gown too! I really enjoyed putting the food table together. Food styling is really fun for me. I purchased all the items and sourced display pieces through Set and Wish to best display the items. I wanted to offer an olive oil bar, charcuterie, pasta, hummus options and a whole lot of bread! I loved how the styling turned out on that Set farm table with those beautiful trees as the perfect backdrop. 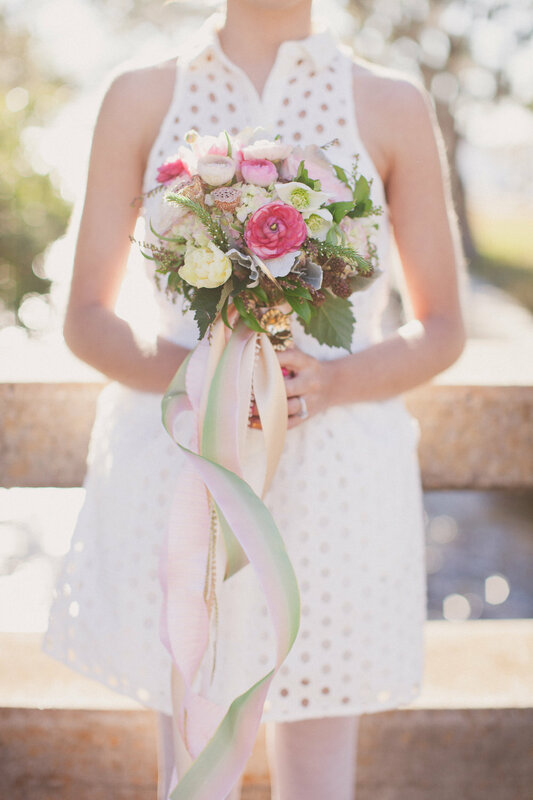 Andrea really outdid herself with the bold pops of color in the butter toned ranunculus and plum florals with the eucalyptus and olive branch (among other perfectly picked blooms). I am still in love with her floral design! I also loved styling the lemonade and favor tables. We offered limoncello favors on beautiful accent tables from Wish. I love using functional items like favors to create a big design element like this display. Can we talk about this cake for a minute? This was my first time trying a Trudy Melissa cake. It lives up to all of the lovely things I have heard about her creations. This naked cake was the best one I have ever tasted and I have tasted quite a few wedding cakes! I love how Andrea styled the florals on this delicious cake and the gold cake serving set from Set Event Rentals was the perfect touch. Working with Emily and Thomas of Emily Katharine Photography was an absolute treat. They are the cutest team and their dynamic is just a joy to be around. They support each other, give high fives, give sweet feedback to each other and their clients and it creates an overall positive and comfortable environment. I am a fan of their perspective in the way they take their photos and I have had a hard time not sharing every last one of these photos because they are just so beautiful. I loved working with this team and would highly recommend any of these talented professionals to help you with your wedding. You can see our feature on The Perfect Palette, here. You can see Emily & Thomas' blog post here. Madilyn is turning 7 on Sunday and I wanted to share her fun party from last year. It was such a fun party to plan because the older Madi gets the more opinionated she gets. She planned this entire party with me and I was pretty impressed. She picked her color palette first because she knows that is typically where I start on my design projects. Her favorite type of food is breakfast so we decided on a pancaked and pajamas theme party. Hi strangers! Things have been busy around here in the best way. My plan is to catch up on blogging and share the fun projects I have been so lucky to be a part of. First up is a promo styled shoot that I did for Jaime Smith of Couture Studios and now Tin Can Photo Lounge. When Jaime announced her new business venture I was so excited that she would be bringing such an amazing idea to events in the area. I was hooked! You will see why shortly. I styled three different looks to show folks how amazing it would be to have Tin Can at their wedding or social event. It was a lot of work but it was the most fun I've had working with a client. You can read more about the photo lounge here. First, I styled a children's birthday party. I wanted it to be fresh and lots of fun because that's what Tin Can is all about! Jaime had her photo clients come model for us and oh my word were these kids the cutest! Next, I styled a fiesta with friends. I used a lot of items from Set Rentals and the group we photographed was so fun! I wanted to incorporate a Southwest style so I planted some cacti and succulents and bright colors with the fringe that we hung. Lastly, I designed a wedding tablescape that was laid back but still sophisticated. There really isn't much that Tin Can isn't good for. It would be a blast at any event! If you have a business that you would love to showcase through a styled shoot I would love to work with you on creating images that best represent your business. Email me, let's chat! A few weeks ago I had the chance to collaborate with several amazing vendors in the wedding industry. I know it isn't nice to play favorites but I have to say that Shea Hopely Flowers and J.Lane Photography definitely are a few of my favorites. Shea is a true artist when it comes to floral design. She thinks outside the box and stays on trend but still classy. Her flowers always blow me away and she is as sweet as can be too. Chelsi and Justin are the owners of J.Layne photography. They are an adorable couple and their work compliments each other. They both have a great vision and their photographs are beautiful. They were a lot of fun to work with and if you are looking for a florist or photographers for your big day you can stop looking now. 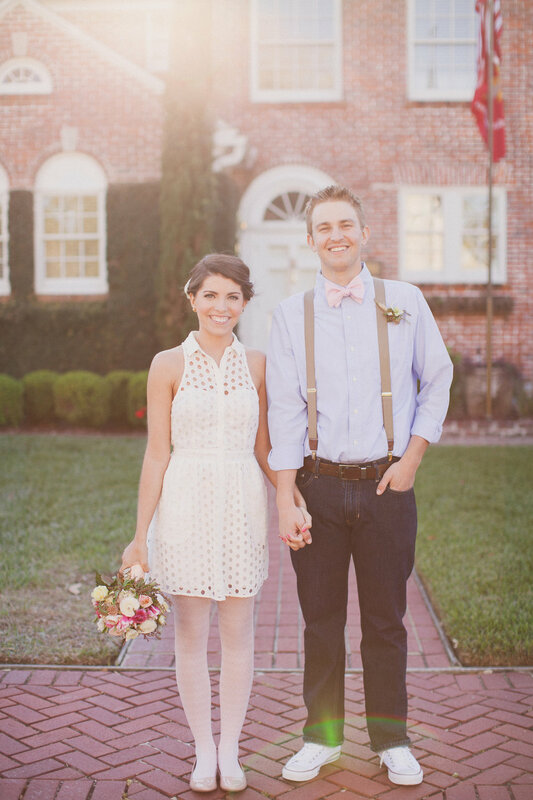 Chelsi came up with the idea for the shoot to be a valentine's day elopement. She used an adorable engaged couple, Stephanie and Cody who are really getting married next year. They are gorgeous together and so evidently in love. I had an amazing time working with everyone and I hope you enjoy the photos! This shoot was featured on Grey Likes Weddings, also one of my favorites and you can see the post also on J.Layne Photography.